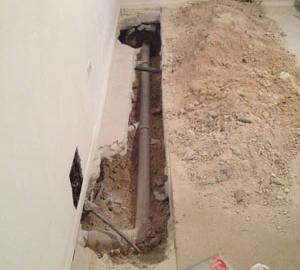 Pipe lining & CIPP Technologies are not always what’s best for the customer! All too many times have we seen “Pipelining Companies” sell customers pipe lining in lieu of Plumbing Replacement because it fits their business model. 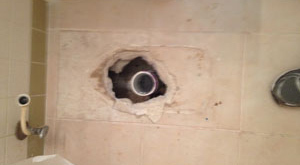 This leaves the customer with the illusion that their plumbing problems have been solved, when in fact these misinformed customers “Pipelining Companies” prey on will find themselves removing the very lining they just paid thousands to have installed. The best way to fix a plumbing problem is total system replacement, however the cost of replacement is often 3 times the cost of lining (after costs of re-construction), however the plumbing problems are gone for good. One of the ways in which we can diagnose what’s going on within the sewer system is through an internal sewer and drain pipe camera. 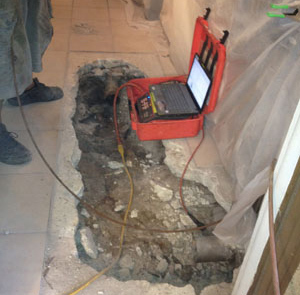 A visual verification of what might be going wrong may significantly reduce the total expense for repair work. Issues discovered through visual examination of the sewer system include blockages, scale build-up and tree roots within the line or moving of pipes. Certified Work, There Is A Difference. 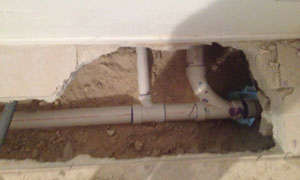 Whenever any excavating happens under a home to access the sewer lines, your specialist should know the basic plumbing codes so the work is completed is properly. Excavating in the wrong area can have cause major additional damage and cost, so call us and have BlueWorks give you a free quote. BlueWorks. A Better Job at a Better Price.